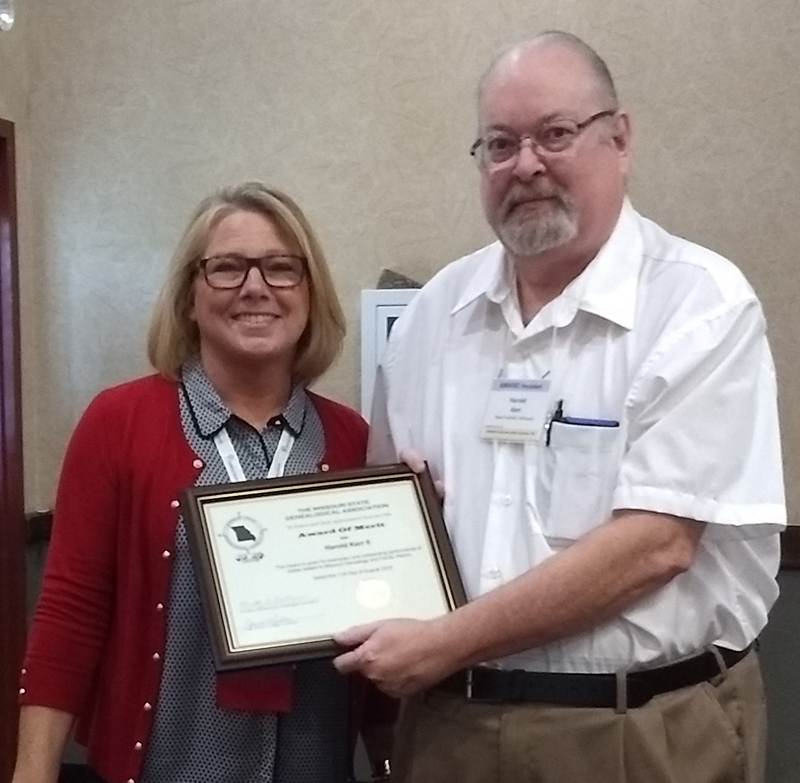 MoSGA recognizes individuals, groups and organizations that have put forth that extra effort to support genealogical research, activities, and publications in the Show-Me State. We are asking local genealogical and historical societies and libraries in Missouri to assist us in identifying those who should be candidates for special recognition. Neither submitters nor nominees need be members of MoSGA. Click here for the Nomination Form. Presenting the awards is Awards Chairman, Jenna Mills. RIGHT: Harold Kerr II received the Award of Merit. He was nominated by the Howard County Genealogical Society. Debbie Furnell received the President's Award, but was unable to attend. Michael O’Laughlin, Irish Roots Café – .